296 pages | 16 B/W Illus. Grief is a family affair. When a loved one dies, the distress reverberates throughout the immediate and extended family. Family therapy has long attended to issues of loss and grief, yet not as the dominant therapeutic paradigm. Bereavement Care for Families changes that: it is a practical resource for the clinician, one that draws upon the evidence supporting family approaches to bereavement care and also provides clinically oriented, strategic guidance on how to incorporate family approaches into other models. Subsequent chapters set forth a detailed, research-based therapeutic model that clinicians can use to facilitate therapy, engage the ambivalent, deal with uncertainty, manage family conflict, develop realistic goals, and more. Any clinician sensitive to the roles family members play in bereavement care need look no further than this groundbreaking text. "Bereavement Care for Families is groundbreaking in its recognition that grief is inescapably and quintessentially a family affair. No one has studied family grief more extensively nor offered clearer insights and practical guidance to therapists on this topic than David Kissane. Countless bereft families will benefit enormously from the wisdom imparted by this book." 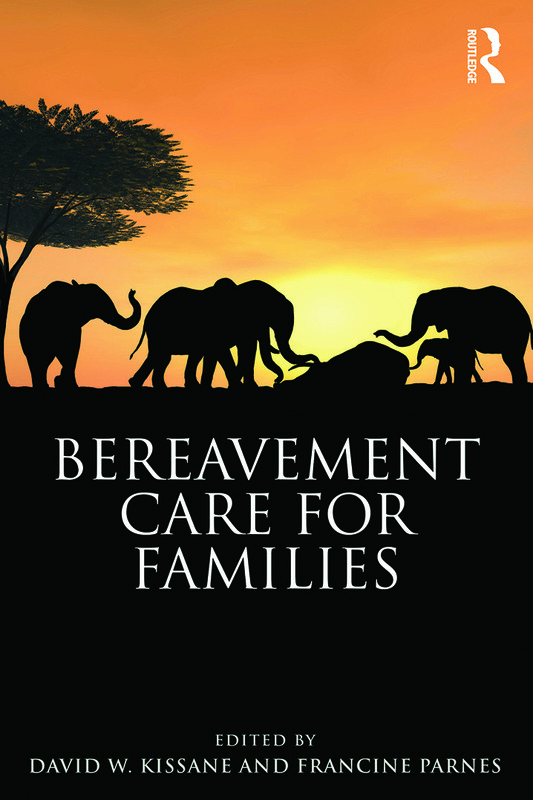 "Bereavement Care for Families is a tremendously important contribution to the bereavement literature in general, not just a useful resource for clinicians. It provides a novel family-centered bereavement-care model, one that complements individual and group approaches. Diverse, highly accessible chapters describe myriad ways in which understanding family-level functioning can benefit care provision, from advantages of harnessing the natural family-support system to potential cost effectiveness. Incorporating this perspective holds every promise of contributing to the welfare of bereaved persons." "Bereavement Care for Families draws together a wide range of contributors from the field of family studies and therapies to produce an integrated account both of the problems of families facing loss, death, and bereavement, as well as their solutions. Most important is the recognition that timely support for families faced with major loss can restore the family as a continuing support to its members, thereby reducing the need for long-term care from psychiatric and other services." David W. Kissane, MD, is an academic psychiatrist, psycho-oncology researcher, author, professor, and head of psychiatry for Monash University, Melbourne, Australia. From 2003 to 2012, he was chairman of the Department of Psychiatry and Behavioral Sciences at Memorial Sloan-Kettering Cancer Center and is currently an adjunct professor of psychiatry at the Weill Medical College of Cornell University in New York. His books include Family-Focused Grief Therapy, Handbook of Communication in Oncology and Palliative Care, and Handbook of Psychotherapy in Cancer Care. Francine Parnes, MA, MA, JD, is an award-winning journalist who has written extensively for The New York Times, the Associated Press, and other leading news organizations. Formerly a reporter and editor at The Denver Post for 10 years, she was a member of the staff that won a Pulitzer Prize for its coverage of the Columbine High School shootings. Previously, she was an attorney in New York and Los Angeles. Volumes published in the Series in Death, Dying and Bereavement are representative of the multidisciplinary nature of the intersecting fields of death studies, suicidology, end-of-life care, and grief counseling. The series meets the needs of clinicians, researchers, paraprofessionals, pastoral counselors, and educators by providing cutting edge research, theory, and best practices on the most important topics in these fields—for today and for tomorrow.